Tree trimming and pruning improves plant health. Pruning is a practice that is periodically required on all woody landscape plants. On mature trees, pruning is required to remove dead and dying branches to maintain plant health and safety. This pruning type is referred to as cleaning. 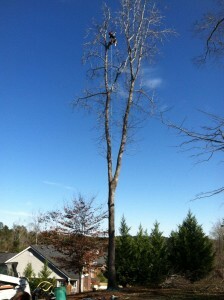 Crown cleaning these 2 Water Oaks. We love this type of work. Sure beats removing them! One aspect of pruning that is most frequently overlooked by consumers is structural pruning of young trees. 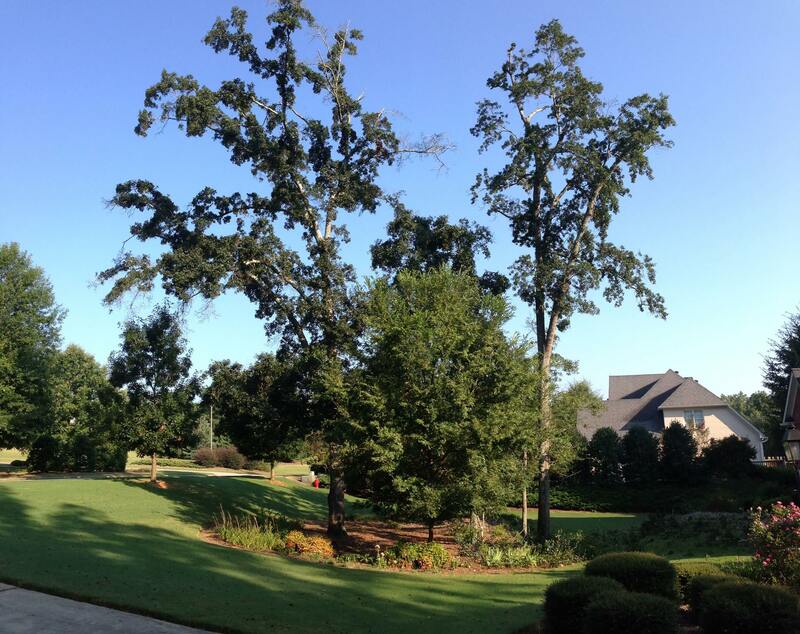 Pruning trees when they are young and growing quickly is critical to ensuring a strong framework for future growth. This pruning focuses on maintaining a single dominant stem unless multiple stem “clumps” are specifically desired. 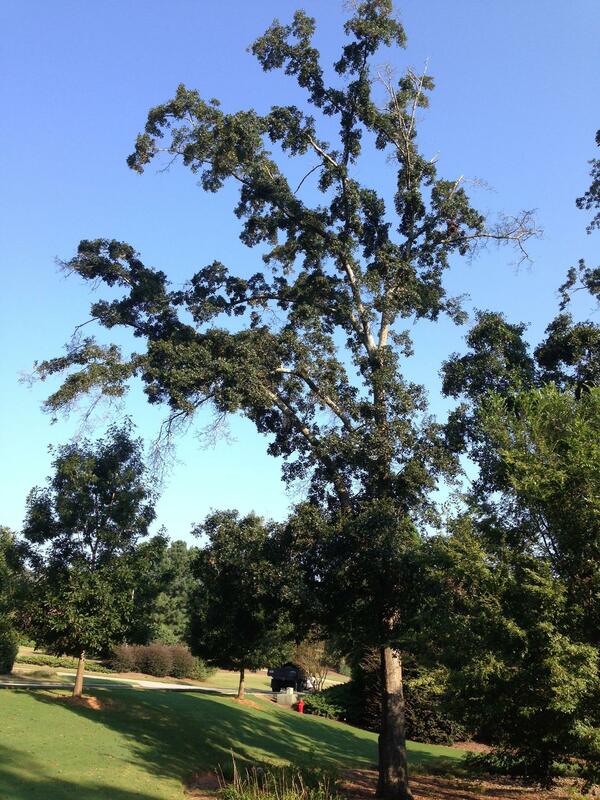 Branches are pruned so their size remains proportional to the stem diameter at their point of attachment. As trees grow, some branches are removed to ensure adequate spacing between permanent scaffold limbs. 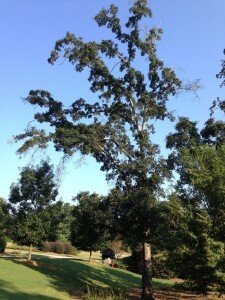 The shape of the tree is maintained to provide a natural open grown form typical of the species. Trees may develop several dominant trunks – called codom stems. As trees grow older, these potentially weak points can split at the “V” or crotch, shortening the life of the tree. Cabling and brace rods reduce the grinding of the multiple stems as they sway in different directions by controlling the codom stems to move as one. 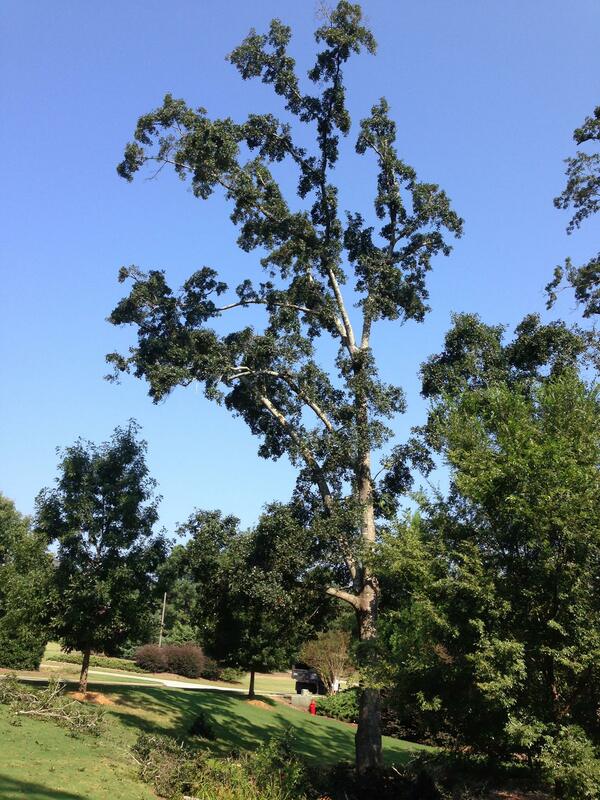 Pruning and cabling a large codom Sweetgum. 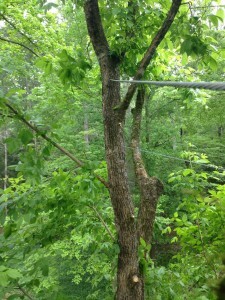 Cables generally consist of extra high strength steel and are attached to bolts installed in the upper crown of a tree. They are intended to limit the movement of the supported branches so they are less likely to fail during storms. 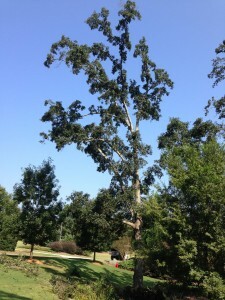 After some weight reduction and deadwood pruning, we finished this tree after installing 2 cables to help aid in support. To preserve and protect! 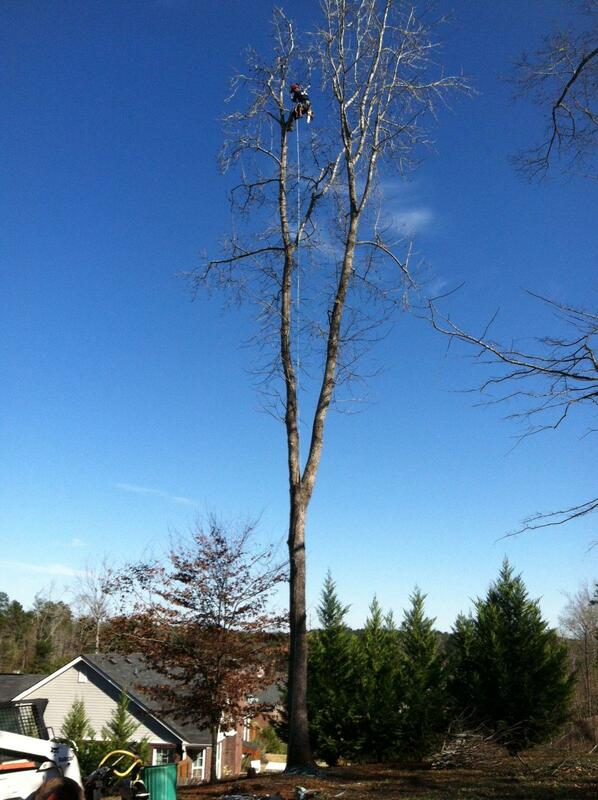 Here at Athens Arborist, we specialize in Tree Preservation. Braces are threaded rod that are installed through unions of weak branches and multiple stems to provide more rigid support from torsional or twisting forces that can occur in violent weather. 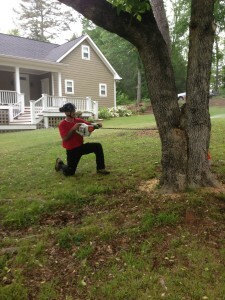 Joseph Cox is installing brace rods in this Box Elder.